With the Thanksgiving turkey stuffed and ready to be carved across much of America, Black Friday, the tradition encouraging companies to drop prices for one day in order to increase business, has already commenced throughout parts of the world. 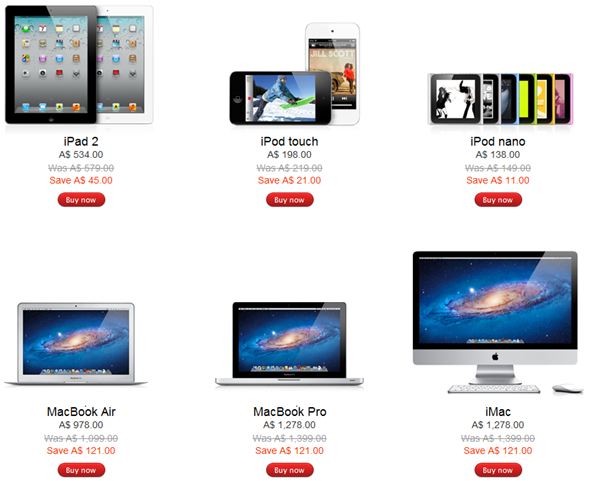 Down Under, Apple has begun Black Friday discounts, with the US and UK discounts coming into effect some time tonight. With $101 worth of savings up for grabs on an the fruit company’s MacBook Pro, Airs and iMac range, unless you’re waiting for these products to be superseded, there really isn’t a better time to save a few pennies if you’ve had your eye on an an Apple device. The discounts are not necessarily decisive, with a modest $41-61 saving on iPad 2’s (which start at 500 bucks) – almost identical savings to this time last year. In addition to products, App Store devs have also joined the party, slashing prices of various apps. Classics such as Real Racing 2 and Need For Speed: Hot Pursuit have been reduced to $2.99 and $0.99 respectively for the holiday season, so grab them while they’re hot! As an iOS user looking for a bargain, you’re probably best armed with a decent Black Friday app to keep you up to date on the latest deals as they come through. After all, with the rush en-masse and high number of participating businesses, it can be almost impossible to keep up. For this purpose, we suggest the Black Friday App, which will save you a helluva lot of time and money. You can grab it from the App Store via this link. In addition, AppShopper will keep you updated on any price slashes amongst the 500,000+ entries to the App Store and Mac App Store. We’ll do our utmost to keep you notified on any significant deals related to technology, so stay tuned. And if you yourselves come across anything un-missable, please give us a heads-up by e-mailing us at tips[at]redmondpie[dot]com or posting on our Facebook / Google+ pages! Let’s hope this is the best round of savings we have seen for a few years! You can start chipping out those bucks by heading over to this link. 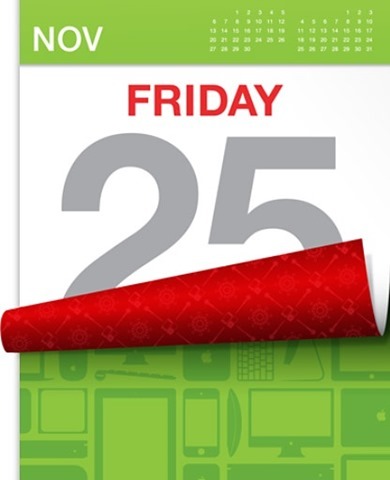 UPDATE: Apple’s Black Friday deals are now available worldwide!